It has always been a problem to replace a few lost teeth without it involving a lot of expense, involving other teeth, or ending up with a removable appliance that is greater than the number of teeth lost. These appliances often can be visible and are more noticeable in their feel in the mouth. Dentures are never going to the same as your own teeth but their presence will prevent teeth moving into the missing teeth space which can cause a localised collapse in bite. They provide some in improvement in function and fill in the gaps in smiles. Incidentally a missing tooth can allow the tongue and cheek to alter its shape to “grow” into the space and can interfere in eating and talking. 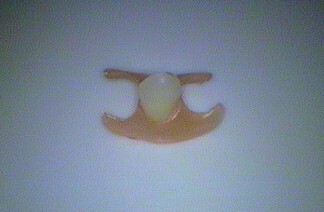 Flexible dentures do not use metal clasps to hold the denture but take advantage of the bulges around the adjacent teeth. 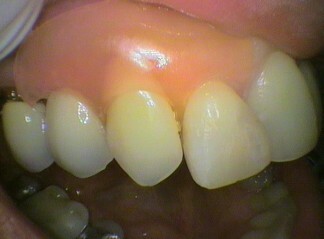 The dentures holding arms bend over these bulges and snap into place below the bulge to hold the denture in place. Titled teeth also help hold these dentures in place as the material bends to get under the tilt of the tooth to hold it in place. These properties allow flexible dentures to replace even one missing tooth by being held by the adjacent two or three teeth. The body of the denture is made of material that looks like gum but can be quite thin and almost transparent. This can in many situations allow the denture to blend into the gum and the mouth. The main problems with these particular size of dentures is that it can be accidentally be thrown out (never wrap it up in a tissue), and the patient needs a certain amount of dexterity to place the denture in their mouth. Take out the Valplast dentures. Turn the tap on and leave it to run until the water is lukewarm. Place the dentures under the running luke warm water and carefully remove any debris. Use your fingers or a soft cotton-wool bud to remove excess dirt. Rinse the dentures with tepid water after each meal to avoid food buildup. Place the dentures in a cup full of warm water. Leave them in the water for 15 minutes daily. Valplast dentures should be soaked in Val-clean denture cleaner overnight at least twice a week. Before soaking the dentures in denture cleaner, rinse them in warm tepid water. Fill a cup with Val-Clean denture cleaner and place the dentures inside the cup. In the morning rinse them under warm water before fixing them in the mouth. Use only very soft tooth brush bristles otherwise hard bristles can damage them. If unable to obtain Valplast denture cleaner then a less effective alternative is using bicarbonate of soda. Another alternative is to use Polident Cleaner with a soft toothbrush. 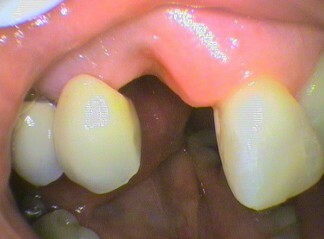 DO NOT use Steradent as this is harsh and can damage the soft and flexible lining of the Valplast denture. Steradent is for Acrylic Dentures only. The Valclean powder is concentrated so only a small amount is need each time. A Valclean box contains 10 sachets thus the whole box should last 6 to 7 months. The cost of a box is $90 and includes postage and handling. Please e-mail an order to info@seymourdental.com.au.